A killer calling himself The Deathmaker is on the loose, pursued by Arnold Magnuson, a grief-stricken detective on the verge of a mental breakdown. Magnuson’s dogged investigation to find the killer, and himself, takes him deep into urban Chicago, laying bare the corrupt city and its seething soul in all its macabre, heartbreaking, and violent complexity. It’s a sprawling, utterly compelling story, widely regarded as a stunning literary achievement and perhaps the best detective novel ever written. The Death of the Detective is one of my very favorite “lost” 20th-century American classics, an encyclopedic urban crime panorama that embraces both vernacular and highbrow dialects, tragedy, melodrama and farce, putting it in the very exclusive company of Thomas Berger, Thomas Pynchon, and The Wire. — Jonathan Lethem, New York Times bestselling author of Motherless Brooklyn and Fortress of Solitude. Remarkable for both its ambition and its accomplishment, [it] reads as though it were written by a resurrected Charles Dickens, one chilled by a hundred years of graveyard brooding. . .every page is a pleasure to read. A masterpiece, one of the best books of its decade . . . raises Dicken's benign ghost to remind us again that we're all connected, all both innocent and guilty. 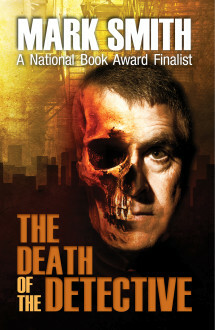 "The Death of the Detective" is a disturbing, challenging, sometimes demented novel, but it is a gloriously ambitious one. It won’t be to every taste, but it clearly doesn’t expect to be. A brilliant and arresting novel which so far transcends the detective genre that inspired it as to stand in a category of its own. The characterization and plot flows together, like rivulets that feed a coursing river, in such a way as to give the novel a momentum and magnetism of scope, and put it beyond the category of mere thriller. A novel of great skill and brooding intensity... a work of patient and unvarnished realism...exceptional. A piece of fiction that is at once terrifying and compassionate, brutal and brilliantly written, and overwhelming in its impact. It may just be the shortest 600 page book in contemporary American literature. One of the most significant American novels in recent years...Bleak House is the only book I can think of that (this) even faintly resembles. A novel I cannot get out of my mind. Precise, controlled, and often brillant. In its sustained vitality, power and scale, it is unlke any other fiction I have read....A complex and unforgettable novel.